Scientific research has always been a passion of mine. For me, the chance to be on the cutting edge of scientific discovery is an absolute thrill. As a first year, however, getting into research can be difficult. Luckily for me, my Biology 1113H class allowed me the chance to get involved in research right away through the PARE project. The Prevalence of Antibiotic-Resistance in the Environment project, or PARE for short, is a nationwide initiative to document the presence of antibiotic resistant bacteria in soil. Institutions across the US, including Ohio State, call on students to collect soil samples from various different areas in their region and test their resistance to various antibiotics. 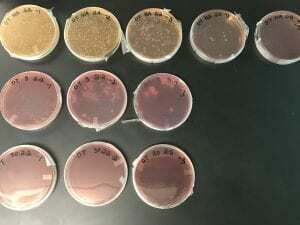 In my class, we grew bacterial colonies in a series of serial dilutions from regional soil samples on MacConkey agar plates to check for antibiotic resistance. 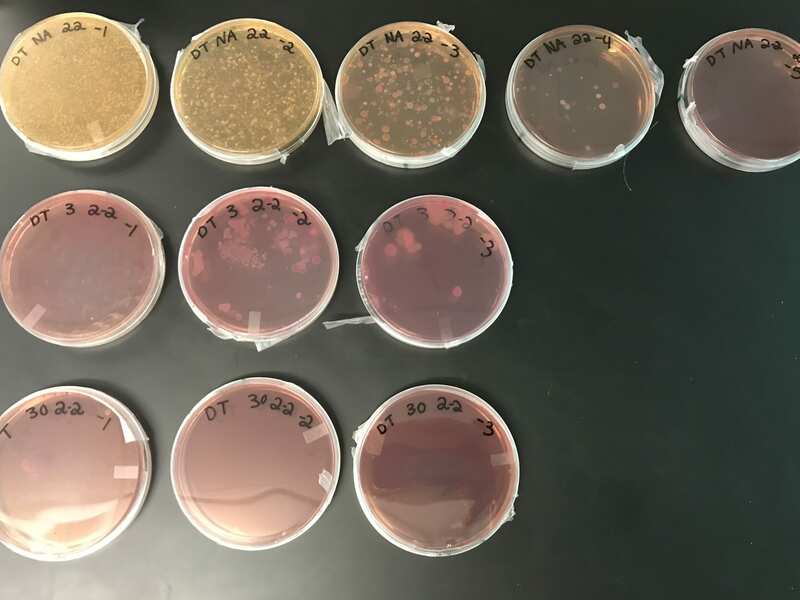 By comparing control plates to plates treated with either 3μg/mL or 30μg/mL tetracycline (a common antibiotic), we were able to see the which bacteria in our samples could grow in the presence of tetracycline. Our plates, shown above, show the presence of drug-resistant bacteria in our sample. Using this data, our class has been able to expand our research even further through the separation and testing of bacterial DNA through PCR and gel electrophoresis, and it has encouraged us to enter our data into the national PARE database. Throughout the PARE project, I’ve developed a strong base of basic research lab skills, including micropipetting, proper filling of wells in a gel, and serial diluting. It has fostered my interest in research and has allowed me to expand my knowledge of cell biology. I’m grateful for the opportunity I’ve had to participate in this national project and excited for years of research ahead. 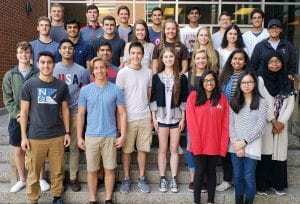 One of my main reasons for choosing to attend Ohio State was for its fantastic Biomedical Science undergraduate major. With a competitive, small cohort size of 27 students, ample opportunities for research, and an incredible success rate for students going into graduate programs, BMS had all the tenants of the kind of program I wanted to be involved with coming to college. Now that I’ve been involved with this program for almost a full semester, I can happily say that it has become one of the single most important parts of my college experience. This incredible group of people, shown in the photo above, has provided me with countless laughs and overwhelming support, and I’m happy to call some of them my closest friends. I’m looking forward to spending the next four years learning alongside this amazing cohort!